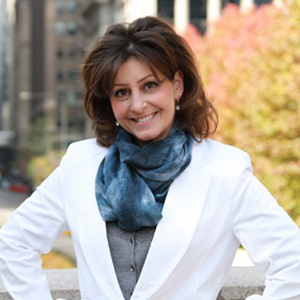 Maria Fricano has proven her commitment to delivering exceptional service and outstanding results throughout the span of her real estate career of more than 22 years. She understands how to expertly guide her clients through each step of the home buying and selling experience; and, more importantly, she keeps their needs, lifestyle, and dreams as her number one priority. In every transaction, Maria’s dedication, integrity, and market expertise shine through. Maria works with a diverse range of clientele, including first-time home buyers, investors, and local and relocating executives, and tailors this wide spectrum of professional experience into each new interaction. She is committed to providing an exemplary experience to each individual she works with, no matter their unique situation, and she takes time to set a foundation of trust when building a relationship with each client. Maria’s approach to selling a home is comprehensive, and her attention to detail produces results! She develops and implements a pre-market optimization plan and a strategic marketing plan including an analysis of market value in order to put each home in the optimum selling position. Once listed, she designs custom marketing materials for the property including brochures, professional virtual tours and photos, and provides extensive online exposure and advertisement. Throughout this process, Maria communicates consistently with her sellers, providing custom reports, feedback, and guidance. In the ever-changing landscape of the residential real estate industry, clients repeatedly choose to work with Maria for her unparalleled knowledge of current market trends, expert advice, trusted judgment, and reputation for achieving results. Maria was born and raised in the northern Chicago suburbs, and she has deep roots in the Chicagoland area. Before beginning her real estate career, she worked as a successful catering director on the North Shore, and she is the fifth generation in her family to raise her children in this area. Maria is passionate about spending her free time with her four grown children and her three grandchildren. Devoted to God and serving others, Maria and her husband also serve as marriage mentors to newly married couples.